StudentLoanConsolidationCompanies.com launches to help student loan borrowers compare consolidation and refinancing rates. The site allows users to see the lowest rates on the market and provides reviews for each lender. My goal is to create an unbiased site that helps borrowers save money by seeing the current rates from these lenders. Today, StudentLoanConsolidationCompanies.com (SLCC) officially launched its site, which aims to help borrowers save money by providing up-to-date interest rates from the top student loan refinancing and consolidation lenders in the industry. The site is completely free and allows users to compare rates with no commitment. Molly Day, founder of SLCC, pivoted from her old site, Student Loan Diary—a blog aiming to help student loan borrowers manage finances responsibly, pay down debt, and become financially independent. With the plethora of new lenders coming into the market, she thought it was important to have an unbiased and independent review site that borrowers could trust. “As student loan refinancing and consolidation becomes more popular, more and more lenders are entering the game. There are tons of sites out there that review these lenders, but often the owners of these sites receive compensation and, therefore, have biased reviews. My goal is to create an unbiased site that helps borrowers save money by seeing the current rates from these lenders,” said Day. Student loan debt is a growing issue in the United States, and it doesn’t seem to be slowing down. Today, over 7 out of 10 students graduate with educational debt, and there is over $1.3 trillion outstanding total. Consolidation and refinancing can help lower borrowers’ interest rates or monthly payments. In this process, a new private lender pays off approved applicants’ old loans—federal, private, or both—and provides a new loan with new terms. After graduates have received a job, they are often more creditworthy and, in turn, eligible for lower rates. Lower interest rates can save borrowers thousands of dollars over the life of their loans. 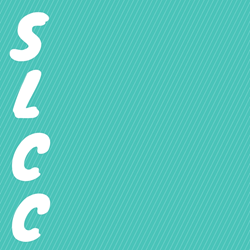 About SLCC: Started in 2016, SLCC’s goal is to create transparency to the student loan consolidation and refinancing market to help borrowers save money. Previously Student Loan Diary, SLCC provides up-to-date quotes from the leading lenders in the industry.